Laptop deals are harder to come by than the seemingly endless flow of SSD, graphics card, and display deals. But we’ve got a doozy of a notebook sale today. 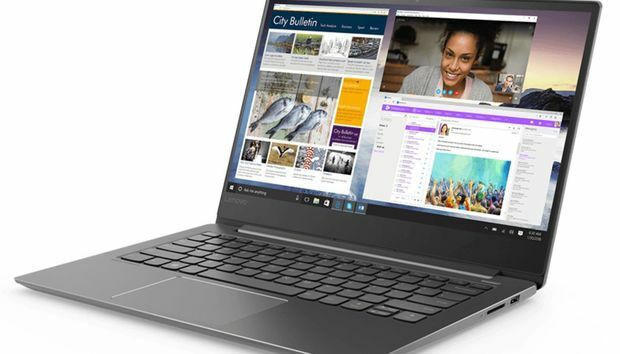 Staples is selling the 14-inch Lenovo Ideapad 530s for $550Remove non-product link, complete with a powerful 8th-gen Core i5 processor and a 1080p display. That’s a great price for a laptop with these specs. It normally retails for $200 more, and in this price range, it's rare to find a Core i5 with a 1080p screen—usually, you'd be saddled with a Core i3 processor, a lower-resolution screen, or both. The processor inside the Lenovo Ideapad 530s is a quad-core, eight-thread 1.6GHz Core i5-8250U that can boost to 3.4GHz when needed. A 256GB PCIe SSD and 8GB of RAM round out the core internals. There’s also a 4-in-1 card reader, three USB slots including one Type-C connection, 802.11ac Wi-Fi, Bluetooth 4.1, two 2-Watt Dolby audio speakers, and a fingerprint reader if you’re interested in using Windows 10's biometric authentication for logging in. That's a solid set of features at this price. Lenovo's laptop weighs in at under four pounds, which means it shouldn't bog down your backpack too much. It’s also pretty thin at 0.64-inch. This isn't a convertible laptop, but it will fold back to 180 degrees so you can lay it flat. All in all, while we haven't reviewed the Lenovo Ideapad 530s, this looks like a well-rounded, very capable productivity machine—and even more so at this sale price.